In this chapter the core values that were mentioned earlier will be explained and applied on the university, the student council and CSF. The current trends in higher education have a lot of influence on the new generation of students. It’s expected that they finish their studies faster resulting in students having less time to reflect on things outside their study. Graduating appears to have become a goal, with the main condition that they have to fit the labour market. The disadvantage of this profit thinking is that students forget about the real goal of an academic institute. There is no time for personal development, reflection on science and the development of a vision on society, while this always was one of the core values of a university. As CSF we support reflection because we see that a well-developed vision on life is important for the functioning of society. We encourage students to look in to societal themes, from different visions, religions and cultures. Reflection on, and thinking about these themes is necessary to get to the true nature of life. In a society where polarisation and numbing are a threat the university should take her responsibility in letting young people think for themselves. Teachers should be stimulated to implement critical reflection and societal implementation in their courses. With the Bible as guidance we can say that Christians have a responsibility for their surroundings. Also within Wageningen University students, so CSF too, have a responsibility that we will explain in 3 parts. First of all a Christian student is co-responsible for the institute he or she is studying at. The policy, made by the Executive Board (EB), needs to be critically watched by CSF. Practically this means that we constructively think along with the development of policy. Because of our feeling of responsibility CSF will be pay attention whether policy is indeed acted upon and look if policy is serving the university, if this is not the case members of CSF will ask critical questions. Secondly there is a responsibility towards all students of the university to represent them the right way towards the Executive Board. Christians need to protect vulnerable groups, like students with a physical disability or psychological problems. Vulnerable groups are also students without a social network in Wageningen and people who feel alone. It can be expected that Christian Student Council members put extra effort in creating a social university with extra attention, and if needed support, for this group of students. Of course will CSF try to look after the needs of all students but our Christian roots will also ask us to have special attention for those more unfortunate. Thirdly CSF feels the responsibility for the functioning of the whole Student Council. We need to focus on the collaboration with the rest of the parties. Responsibility also means that we have to look critically at the functioning of the whole Student Council, as a small party our task is to keep the others sharp. Of course integrity is also very important for CSF, it can be expected of a Christian student to do as he says and to say as he does. He can be there for other students, be helpful and have a proper way of looking after the student’s interests. In the Student Council we want to show our integrity by being honest and keeping to our promises. The Executive Board can be seen as the authority of the university. As Christians we believe that every person has been created in God’s image and therefore falls under His authority. Every person has equal dignity that needs to be protected by the Executive Board. CSF is in the position to see whether equality is really looked for, realised and protected by the Executive Board. At a university where employees and students are working hard ‘to explore the potential of nature to improve the quality of life’, sustainability should have an prominent place. The earth we are living on is not ours but God’s, we as humans have the responsibility to take care of our planet. As Christian students we need to have a realistic vision on sustainability within the organisation. Research and education about sustainable solutions for environmental problems have to be promoted, but the university should also focus on making use of natural and sustainable materials and energy. 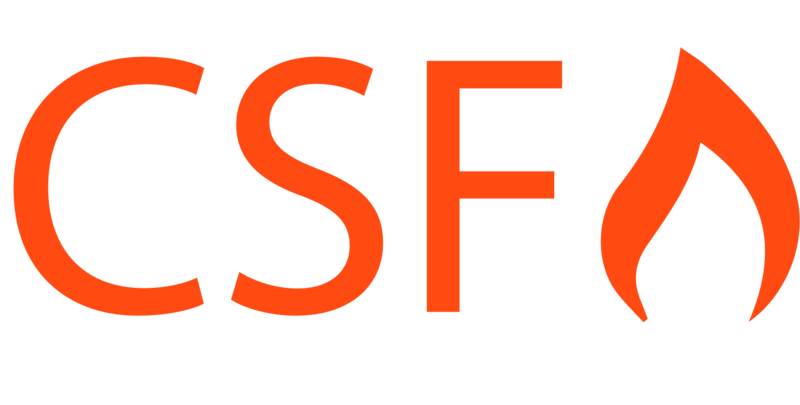 Sustainability for CSF also includes making sustainable policy, this is policy that doesn’t just solve problems on the short term, but is also focussed at preventing problems in the future. Students need a stable study environment instead of a place where rules and policy changes every time.